When the Wii U was announced, gamers were suspicious of its gamepad controller, which looked large and heavy and uncomfortable. 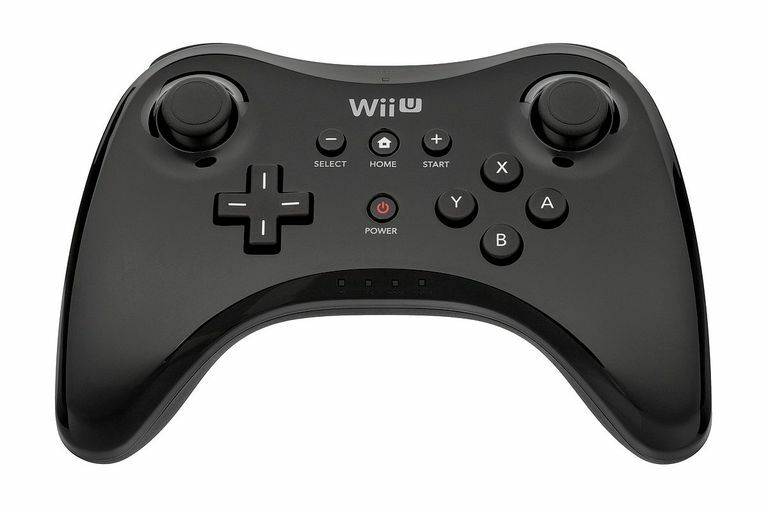 To alleviate concerns, Nintendo also announced the Wii U Pro Controller, a conventional, wireless game controller designed to let us know that the gamepad wouldn't be our only choice. We never shared that fear of the gamepad, and even though Nintendo sent us a Pro Controller, it was months before we bothered to try it out. Now that we finally have, it’s time to give a brief rundown. The Pro Controller, which comes in white or black, has the same streamlined winged design as the Xbox 360 controller. The main difference is that the analog sticks are both on the upper part of the controller, whereas the 360 controller has one high and one low. The PS3 controller has both low, as did the Wii Classic Controller, and all this variety makes me wonder if anyone has actually tried to figure out what is most comfortable, or if they’re all just moving things around so you can tell one controller from another. Nintendo was wise to copy Microsoft’s controller, as the Pro Controller is considerably nicer than the rather ugly Classic Controller, which suffered from slightly uncomfortable analog sticks and too-high buttons. The Pro Controller is almost as nice as the Xbox 360 controllers, although we prefer its colored buttons and lower right stick, and considerably better than the PS3’s controller, which we’ve never found that comfortable. We also like the trigger placement, which seems a little more comfortable to me, although in part that is because the Wii U doesn’t support analog triggers, meaning the bottom trigger doesn’t require as much push. The Pro Controller also offers 80 hours of play off of one charge; a mind-boggling 77 more hours than you’ll usually get out of the gamepad (or 74 hours more if you have the gamepad's extended battery). With Nintendo's strong focus on local multiplayer, the Pro Controller offers the best experience in most multiplayer games, although if you want to save money you can use Wii remotes and nunchucks instead. If you're playing alone, the gamepad is a good controller, but with many Wii U games failing to take advantage of the touchscreen and motion controls, the gamepad can seem like overkill. For those games, the Pro Controller offers a lighter, more comfortable experience. Unfortunately, not all Wii U games support the Pro Controller. This seems like a failing on Nintendo's part; they should automatically allow the Pro Controller for any game that doesn't use the gamepad's special features since without those it is functionally the same. But apparently developers need to do some extra work to support the lighter controller, and some haven't bothered. We wouldn’t have been bothered had Nintendo not released a conventional controller (we really like the gamepad), but we are still glad that the controller they did release is so nicely designed. While we still tend to use the gamepad out of habit, when it occurs to us that the gamepad isn't being meaningfully utilized we will grab the Pro Controller and see if the game supports it. If it does, we put the gamepad back in its cradle and play on.